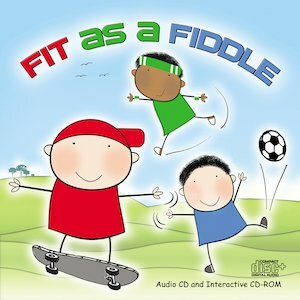 Use three sample songs from ‘Fit as a fiddle’ (Monster Music) to inspire children about physical fitness and healthy living. The following teacher notes are adapted from ‘Fit as a fiddle’ (Monster Music), which includes many more songs and activity ideas. Discuss the title with children. What is a fiddle? How is it played? Why might we think it was fit? What do we mean by being fit? Listen to the song , ‘Fit as a fiddle’. Create two phases for the song. First put the verses into action on the spot: Stand with feet astride; Hop on your right foot and so on. During the chorus the children could choose a fitness activity (for example, jogging, jumping or dancing) and move around the space as they sing, standing still for the verses. Don’t forget to include a big finish…..fit as a fiddle!